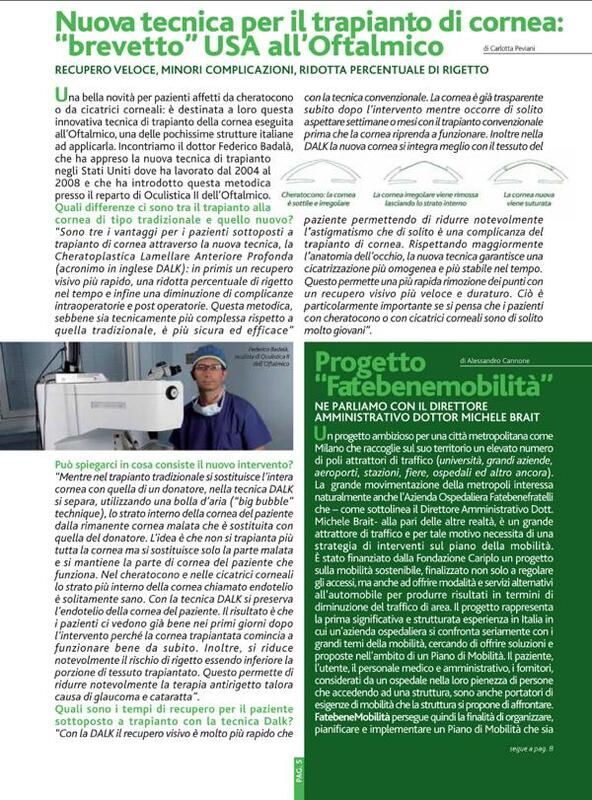 Great news for patients affected by keratoconus os corneal scars: this new corneal transplant technique id meant for them and is available at the Oftalmico, one of the very few italian centers that performs it. Let’s meet DR. Badalà that learned such transplant technique in the USA where he worked from 2004 to 2008; he introduced this methodology in the Ophthalmology II ward of the Oftalmico. QWhich are the differences between traditional corneal transplant and the new one? ” There are three advantages for patients that will try the new technique, the Deep Anterior Lamellar Keratoplasty (DALK): first of all, a quicker vision recovery, a reduced risk of rejection over time and lastly less intraoperative and extraoperative complications. This methodology, even if technically more complex when compared to traditional procedure, is safer and more effective “Can you please explain to us how does the new surgery work? “While in traditional transplant the whole cornea is replaced with the one coming from a donor, withDALK technique, an air bubble (“big bubble” technique) is used to separate the inner corneal layer from the damaged cornea, that is then replaced. The idea is that there is no need to replace the whole cornea but only the damaged portion, keeping the healthy portion in its original place. Patients with keratoconus or corneal scars, usually show a perfectly healthy endothelium (corneal inner portion). DALK technique saves the patient’s endothelium. The result is that patients see well just a few days after surgery because transplanted cornea starts working immediately. Moreover, rejection risks is greatly lower since the transplanted portion is definitely smaller. 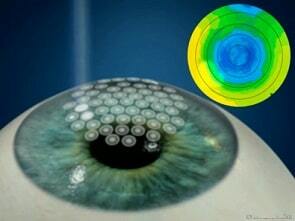 This makes it possible to significantly reduce anti-rejection therapy, that sometimes causes glaucoma and cataract”. 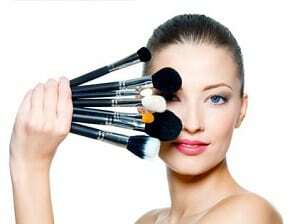 How long does recovery takes when using DALK technique? “With DALK vision recovery is quicker than traditional procedures”. Cornea is transparent right after surgery: with standard techniques it is necessary to wait for weeks before it starts working properly. Furthermore, with DALK, the new cornea blends better with the patient’s tissue, significantly reducing astigmatism (that is a common complication for corneal transplant). Respecting the eye anatomy, the new technique guarantees a more homogeneous and stable healing. This makes it possible to remove suture stitches sooner, along with a quicker and long lasting vision recovery. This is especially important considering that patients with keratoconus or corneal scars are usualy young”.